Latino concerns about the economy move back to forefront. LOS ANGELES, CA - The most recent poll of Latino voters reveals a continuing political problem for President Barack Obama, which he must address if he wants to get re-elected next year. The number of Latinos who are certain to vote for Obama in 2012 does not reach the level needed to, at this point, obtain the supermajority of votes the president needs to win certain difficult states, such as New Mexico, Colorado and other western states. The most recent impreMedia/Latino Decisions poll, conducted between late July and early August, showed this result. Latinos and African-Americans, among other specific groups of voters, were essential in 2008, providing supermajorities in key states and tipping the scales in Obama’s favor. A supermajority means obtaining a vote that is not a simple 50% majority, but rather 65% or more. 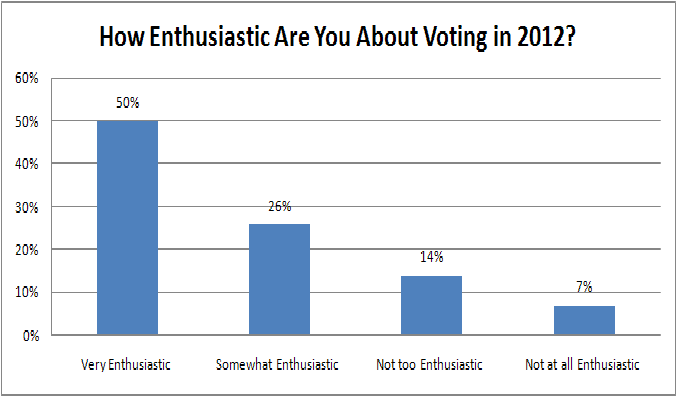 Also, these voters need to be enthusiastic and come out to vote—just like the Republicans or conservatives who are trying to oust a Democratic president whom they have seriously criticized and tried to discredit probably are. Matt Barreto, a professor at the University of Washington, Seattle and advisor to Latino Decisions, said that the voting intentions favoring Obama show a dangerous trend, since there is a percentage of Latino voters who are moving from the “strongly approve” column to “somewhat approve.” Meaning they still see the president in a positive light, but something has made them become less enthusiastic. “Much of the change we’ve seen in these months of polls, where the president has gone up and down in Latino polls, has to do with what’s happening now in the public arena,” said Barreto. The approval rate and voting intentions favoring Obama, not only among Latinos but on a national level, increased after the capture and death of Osama bin Laden. The president also obtained positive results after his speech on immigration in early May in El Paso, Texas. Nevertheless, for this most recent poll, the economy and the handling of the debt crisis and the deficit were on the minds of many. So much so that in this poll, the economic issue returned to the top of the list of concerns for Latinos, after being displaced by immigration for several months. “Many people are upset about the debt deal, and in this same poll we saw that Latinos don’t want to see reductions or cuts in services,” said Barreto. Apparently, this issue had some impact on Obama’s image among Latinos in the current poll. Over the last days and weeks, the Obama administration has taken steps to address this issue. An interesting point, as with prior polls, is that the decrease in the approval ratings or voting intentions favoring Obama does not translate into gains for the Republican side. Instead, voters remain “undecided.”For example, the Republican voting intentions among Latino voters remain the same, and they are at one of the lowest levels in the country’s history. The progression of answers to the four polls conducted since February reveals that the Latino Republican vote continues being more or less the same, and it has not been affected by the fluctuations in President Obama’s approval rating. Only 10% of Latino voters said they are certain to vote for a Republican, while 8% said they may vote for a Republican for president. Another 4% said they are still undecided but leaning toward a Republican candidate. These percentages add up to a soft 22% that does not offer much hope to this political party, whose “brand” has become severely damaged in the eyes of Latinos, among other reasons for its tough attitude on immigration and the use of only program cuts to balance the budget. METHODOLOGY: LD polled 500 Latino registered voters between July 27 and August 9 in the 21 states with the largest Hispanic populations, representing 95% of the electorate. Those interviewed were selected at random from voters lists. The poll includes interviews conducted via cell phone and land line telephones. The margin of error is +/-4.3%. The interviews were conducted in English or Spanish at the request of the respondent. As November 2012 approaches Latinos will be scared of the Republican Candidate, because the Republican Primaries will be a Great Show of Immigration Bigotry. Gabriel J. Chin is a professor at the University of Arizona Rogers College of Law. Kevin R. Johnson is dean and a professor of public interest law and Chicana/o studies at the University of California Davis School of Law. Supporters and opponents of S.B. 1070 assume that racial profiling is unconstitutional, largely because many Americans believe that it ought to be. In fact, the U.S. Supreme Court has approved the racial profiling permitted -- indeed encouraged -- by S.B. 1070. In a 1975 case regarding the Border Patrol's power to stop vehicles near the U.S.-Mexico border and question the occupants about their citizenship and immigration status, United States v. Brignoni-Ponce, the high court ruled that the "likelihood that any given person of Mexican ancestry is an alien is high enough to make Mexican appearance a relevant factor." In 1982 the Arizona Supreme Court agreed, ruling in State v. Graciano that "enforcement of immigration laws often involves a relevant consideration of ethnic factors." Arizona's immigration law states that a "law enforcement official or agency . . . may not consider race, color or national origin in implementing the requirements of this subsection except to the extent permitted by the United States or Arizona constitution." Although supporters of the law, including Gov. Jan Brewer (R) and other state officials, have said repeatedly that racial profiling is prohibited in its enforcement and that those charged with carrying out the law will be trained to avoid it, the fact that the legislature included this careful exception is significant. Lawmakers took care to embrace the reliance on race permitted by cases such as Brignoni-Ponce. This choice deserves acknowledgment and discussion, just like that received by the rest of the law. Brignoni-Ponce has resulted in immigration enforcement that many contend is race-based and in violation of the U.S. Constitution. In case after case, in states including Florida, Iowa and New York, defendants arguing that Border Patrol stops constituted unlawful searches and seizures under the Fourth Amendment have encountered claims by the U.S. government -- including the current administration -- that "Mexican" or "Hispanic" appearance, along with other factors, justified an immigration stop. Border enforcement officers regularly admit in court that "Hispanic appearance" is one reason for an immigration stop.